What does it mean that the Spirit of Christ foretold of the Messiah’s suffering and glory? Surely, there were many ways, as Hebrews 1:1 indicates. Nationally, the people of Israel regularly experienced enemy oppression (after they sinned) followed by powerful deliverance that set God’s elect over his enemies. Individually, Joseph, Job, David, and Daniel all experienced humbling affliction before being exalted. Textually, there are some individual passages displaying a suffering-to-glory theme—e.g., Isaiah 53 speaks of the Servant’s humiliating death (vv. 1–9) only to close the chapter by announcing his glorious reward for his vicarious suffering (vv. 10–12). Or see the pattern in the Psalms; both the whole Psalter and some individual Psalms (see especially Psalm 22) reflect this pattern. It seems that everywhere you look in the Old Testament you find (1) God’s people suffering, followed by (2) cries for mercy. In response, (3) God hears their prayers, and (4) responds with saving compassion in the form of a deliverer—a Moses, a Samson, or a David. The result is that (5) the people are saved and the mediator is exalted. In the light of the New Testament, these incidents are illuminating shadows of Jesus Christ himself. In fact, in the words of Peter, it’s not too much to say that the Spirit of Christ is a cruciform spirit, who leads his people (under the Old Covenant and the New) through valleys of death to bring them into places of honor and service. 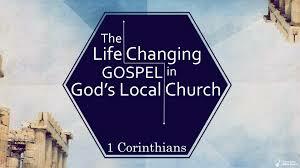 This is the Christian way—to be brought low unto death, so that God can raise us up to life (see 2 Cor 1:8–9). That being said, I am persuaded that there is another way in which suffering-unto-glory might be seen in the Old Testament. Instead of containing the pattern to the nation, individuals, or texts, there are some pairs of people who display the pattern. That is, repeatedly throughout the Old Testament, there are individuals related by kinship or ministerial calling whose composite lives function to display the pattern observed in 1 Peter 1. In other words, the Spirit of Christ was directing their lives such that the first person foreshadowed the sufferings of Christ and the second person reflected his subsequent glories. Admittedly, I haven’t seen this proposal written down anywhere. So, I’d love your thoughts. Does it work? I think there is merit in the proposal and am writing it out (in part) to explore the idea. (That’s what blogs are for, right?) I think, in the end, such pairs may help reflect the binary nature of Christ’s ministry–first in weakness and humiliation, then in power and glory. Or at least, that’s what I will try to show below. Let me know what you think. In Genesis, God’s plan of salvation “begins” with his election of Abraham (cf. Neh 9:7) and his subsequent life of wandering (cf. Deut 26:5). As Hebrews declares, Abraham saw the promises from afar (11:13). He never received them, but he died in faith trusting that God would make good on his promises. Indeed, while favored by God, Abraham’s life was one marked by pronounced suffering. For 25 years he and his wife waited on the Lord for Isaac. He never had a place to call his own. Though honored by his family, he died without seeing the fruit of what was promised to him. In other words, he didn’t live to see the glory promised him. At the other end of Genesis, Joseph, Abraham’s great-grandson, also experienced great suffering. His brother’s hated him and sold him into slavery. For thirteen years, God hurt Joseph’s hands and feet with shackles (Ps 105:16–19). The word of God tested him: Would the Lord make good on his promises, or would he too die without seeing the glory of God? Remarkably, Joseph unlike his great-grandfather did see the power and glory of God in his life, as he was raised from the dead. (This is figurative, of course, but consider it from Jacob’s perspective: his son who was dead to him, was found to be alive, cf. Luke 15:24). In the Joseph narrative (Genesis 37–50), Moses records that when Joseph was about thirty, he was exalted to the second position in Egypt. He was entrusted with feeding the whole nation of Egypt (and any others who came to find life from this wise servant of God). Though, Joseph ultimately died—thus ending his earthly glory—he did experience in his life what his great-grandfather never did: the right to rule over the nations. In the context of Genesis, the whole narrative moves from Abraham’s suffering in Canaan to Joseph’s glory in Egypt. Though short-lived, we discover in this typological pair, a movement from suffering to glory. The next typological pair is that of Moses and Joshua. The book of Joshua goes to great lengths to compare Moses and Joshua. While Deuteronomy 34 explains that no one matches Moses (vv. 9–12), the first chapter of Josh aims to prove that Joshua himself is like Moses. Like Moses, Joshua is a man filled with the Spirit and one who is committed to the Word. He too is called the “servant of the Lord,” but interestingly (and also like Moses), he does not receive this appellation until his death, 24:29. In many ways, Joshua’s role in Israel is one in continuity with Moses. For instance, Joshua 3 shows this new leader bringing the people of God through the Jordan River. Verse 7 goes so far as to say, “The LORD said to Joshua, ‘Today I will begin to exalt you in the sight of all Israel, that they may know that, as I was with Moses, so I will be with you. '” Following this crossing of flood waters (which recounts the stories of Noah and Moses), Joshua rededicates Israel to the Lord by circumcising the men (5:4) and celebrating the first Passover in the Land (5:10–12). Whereas Moses died because of his disobedience to God (see Num 20:10–13), Joshua entered the promised land because of his obedience (see Numbers 14). Whereas Moses failed to lead his generation into the Land, Joshua led his generation (the next generation) into the land. Whereas Moses led the nation to defeat two kings, Og and Sihon, Joshua defeated thirty-one kings (see Joshua 12). From the end of Deuteronomy, it may seem unlikely that anyone would be greater than Moses. And with regard to this status as Prophet, this is true. However, in terms of his leadership, military might, and success in leading Israel into the presence of God, Joshua was clearly better. Nowhere is this more apparent than in Joshua 12. In those few verses, God’s Word lists the military accomplishments of Moses and Joshua. Like the comparison between Saul and David in 1 Samuel 18:7 (“Saul has struck down his thousands, and David his ten thousands”), it is clear that Joshua 12 intends to show how Joshua’s glory exceeds that of Moses. It is Solomon who is chosen to build the temple for God, not David (2 Samuel 7). It is Solomon’s reign that functions as the highest point of glory (read 1 Kings 4 and 10). The Canonicler of the Psalter interprets Solomon’s glory as surpassing that of King David. We can see this in how Solomon’s Psalm (Psalm 72) is used as the capstone of David’s life, told in Books I and II (Psalms 1–72). David’s life comes to an end in Psalm 71 (see esp. Psalm 71:9, 18) and then the Psalm 72 recounts the glorious reign of Solomon over all the earth. In these three ways, it is evident that Solomon’s glory is greater than that of his father. Yet, because of his own iniquity (1 Kings 11), it is clear that he is not the “son of David” who will usher in a kingdom of peace and righteousness. 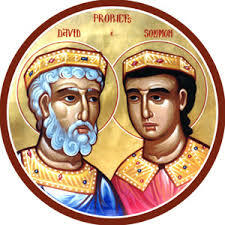 Rather, Solomon’s fallible life and fading glory is a type of the glory to come, the glory that Christ will enjoy once he follows the path of David (cf. Psalm 22). Through learning obedience and suffering on the cross, the greater son of David will also surpass the greater glory of Solomon. Last, the prophetic duo of Elijah and Elisha show the pattern of suffering-to-glory. Like Moses, Elijah suffered the fate of not seeing what his holy heart desired. He longed for God’s people to repent and enjoy the blessings of God, but as Ligon Duncan so powerfully demonstrated in his 2012 T4G sermon, Elijah never saw it. He died longing to see the glory of the Lord on earth, but it was not for him to see that. By contrast, Elisha (who also lived during a time of covenantal disobedience) saw more fully the power of God at work in his day. As Elisha requested in 2 Kings 2:9, “Please let there be a double portion of your spirit on me,” he saw in his ministry a (numeric) proliferation of miracles that exceeded that of even Elijah. Because of the mighty work of God through Elijah at Mount Carmel (1 Kings 18), it is hard to say that Elisha’s works were more powerful. However, from a numeric comparison it is clear, Elisha’s ministry was greater. Like Moses and Joshua (who led Israel through the Red Sea and the Jordan River, respectively), Elijah and Elisha (as if to establish their historic correspondence with these two leaders) both parted bodies of water—the former on his way to death; the latter on his way to ministry (see 1 Kgs 2:8, 14). In this way, we can see how these two men both fit into the stream of prophetic leadership in Israel, and how like Moses and Joshua, they too follow the pattern of suffering to glory. Even more, because Malachi picks up the ministry of Elijah as a forerunner to the LORD (see Mal 4:5), and Jesus applies this prophecy to John the Baptist (in Matthew 11:10, 14), it seems that the relationship between Elijah and Elisha functions as a pattern for the relationship between John the Baptist and Jesus himself—a relationship that also carries with it the pattern of suffering-to-glory. Or maybe it would be better to say that John experienced a certain kind of ministerial success (glory) that was happily superseded by Jesus. As the Baptist says in John 3:30, “He must increase, I must decrease.” Like Elijah, who did not see the glory of God in his day, John the Baptist, who longed to see God’s glory, suffered death at the hands of Herod. Meanwhile, Jesus picked up John’s mantle of ministry (and even some of his disciples) and brought a kind of revival to Israel, only until his own life was taken away—because he, as the substance to which all the other patterns pointed—must suffer unto death before he himself could enjoy the glory promised to him. In the end, we must admit that we are working with types and shadows. None of these patterns perfectly portray the events of Christ’s humiliation and subsequent exaltation. Likewise, because of the cursory nature of blogging, it is impossible to answer every question, prove every proposition, and nuance every link—e.g., each sufferer did experience some measure of earthly glory (esp. Moses) and no exalted leader was devoid of suffering. Nevertheless, I think there is enough here to merit further consideration, that the patterns of suffering to glory do not simply exist in the individual lives of Joseph and David. Rather, there is a substantial pattern in the organic relationships between two people. Perhaps, these typological pairs reflect something of the two natures of the Son of God. During his first advent, his divine nature was veiled by his humanity, such that his glory was only glimpsed on the Mount of Transfiguration. Today, his exalted humanity reflects his glorious deity, only it does so without forgetting his earthly humility. Indeed, the marks of the cross are still visible on his hands and side (see John 20:27), and in heaven he is worshiped as “the Lamb who was slain” (Rev 5:6, 12; 13:8). In this way, we see how the sufferings and subsequent glories of Christ continue to be proclaimed both now and forever. And with this in mind, we then look back into the Scriptures to see the way in which the Old Testament prophets both lived out and spoke of the Spirit of Christ who was impelling them to speak. In truth, the Word of God is a rich tapestry that always and ultimately points to Jesus Christ. And the more ways we can see genuine reflections of Christ in the Scripture (as in the typological pairs mentioned above), the more we will come to worship and adore the God who suffered in order to bring us to glory. May the Spirit give us eyes to see, the Son once veiled, now revealed in glory.